Thea for SketchUp is a high-end, fast render plugin for SketchUp Pro. 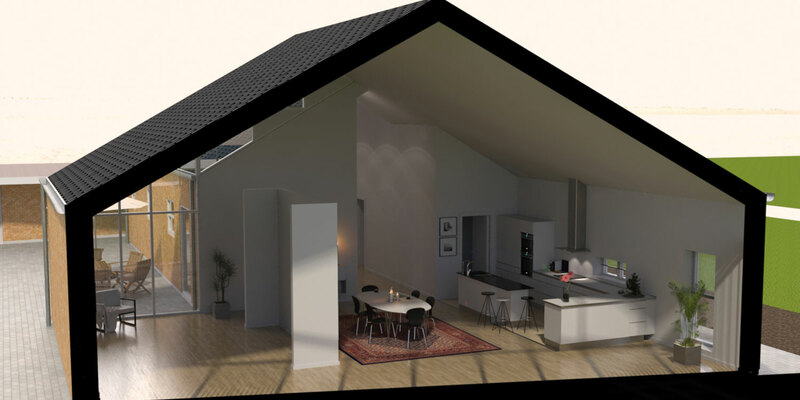 It combines the powerful Thea rendering engines with the simplicity of SketchUp. Having biased, unbiased and interactive render modes including GPU support at your fingertips, inside SketchUp view, rendering is a joyful experience. Thea has got a built-in online library and is compatible with Extensions as Skatter and Skalp. 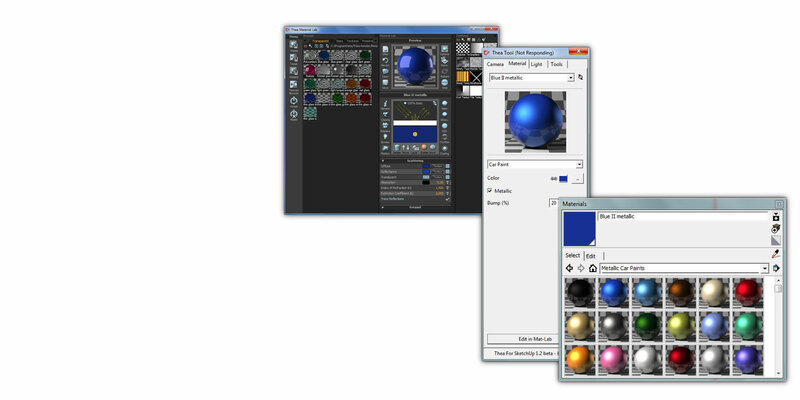 With Thea Render you can switch between different render engines. From 'Quick 'n Dirty' to slow but accurate. 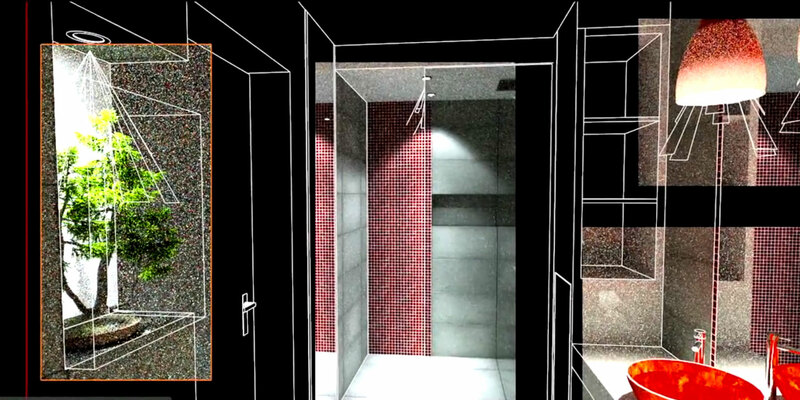 Preview the composition, materials and lights in your scene interactively, either inside the dedicated Thea window or directly inside SketchUp view! Thea Render has several advanced features such as an extensive material editor, dark room for light adjustments, render channels, dispersion, depth of field and much more! Thea Render is equipped with the following functionalities to offer you the highest level of rendering. Thea for SketchUp interactive render mode allows you to preview the composition, materials and lights in your scene interactively, either inside the dedicated Thea window or directly inside SketchUp view in Overlay or Blending mode. With the use of Interactive Region Rendering a desired part of SketchUp view can be selected for focusing render effort. Thea for SketchUp lets you benefit from the powerful Thea Material Editor which supports physically-based materials and layering, lighting emittance, displacement and alpha mapping. Additionally, with the use of Thea Content Browser you can have access to an increasing variety of ready-to-use high quality Thea materials and apply them easily to your models. Thea for SketchUp provides a solution that overcomes limitations in terms of complexity of the final model. High quality external Thea models can be inserted as empty wireframe boxes inside SketchUp viewport and, in the rendered image, be translated into highly detailed originals, allowing easy population of impressively looking trees, grass, cars and more. With Thea for SketchUp you are able to render Sections, without any modification of your model. 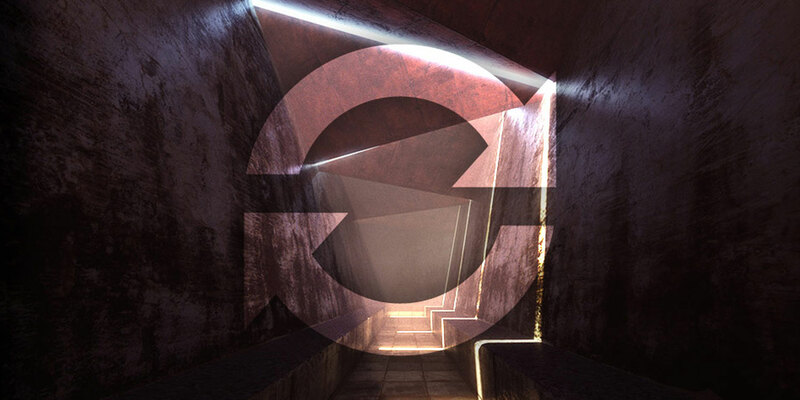 It allows you to take a “look inside” while geometry is still contributing to reflections and light bounces. This way the lighting in the model is not altered which is beneficial for illumination design. With the use of Thea for SketchUp, any animation can be rendered as seen in the SketchUp view. This means that it supports all animation plugins that show their output directly in the view, during animation play-back along with physics animation plugins, like MSPhysics. With Thea for SketchUp you are able to render your scene using camera with spherical projection. 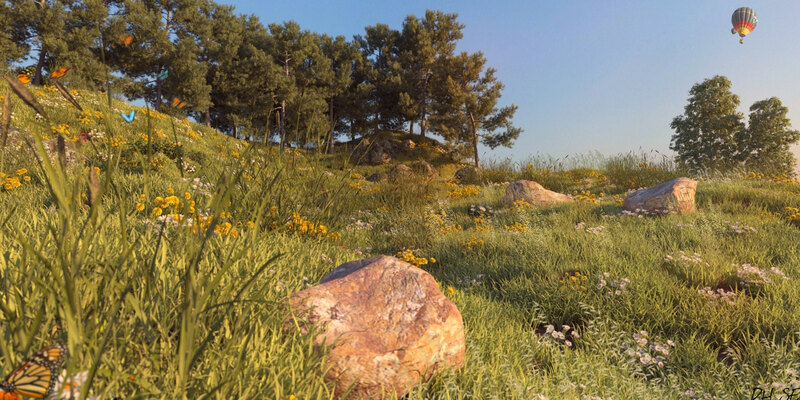 The resulting image will be a panorama that can be viewed on a VR headset, by an external program or a web application. It is especially valuable for presenting interiors to clients as it gives an excellent impression of the proposed solutions. With the use of Thea Content Browser you are able to browse from within SketchUp all Thea materials, models, skies and proxies found in your folders. You can then easily apply a material or insert a model inside your scene with the click of a button! * Commercial licenses include unlimited Render Node Licenses at no cost. Downoad the Thea Render Node application and install it on your render node(s)! Optix Denoiser from NVIDIA to remove noise from renders. Adjust advanced material setting right within the Thea toolbar. Set up your own workspace for the Thea window. You decide which tool boxes will be shown at which place. Several tonemapping options to restore the lighting balance and therewith certain details in your scenes. User cases, video's, manuals, tutorials and more. Everything you need to get you started with Thea Render. See below the various applications and examples of Thea Render in practice. The newest Thea Render video tutorials to get you started. Would you like more information about Thea for SketchUp?